So I did my taxes on Monday night (WHAT?! It’s not April yet! ), and for the first time in two years, I’m getting a refund! A pretty decent-sized one, at that! While the bulk of it will go towards paying off extant debt and my savings account, I wanted to take a little bit of it and get something nice, just for me. That’s normal and healthy, right? A darling little pair of John Fluevog flats (on sale, no less!) in a very utilitarian color. When I want to look nice, I live in flats, and black is definitely a color staple of my wardrobe. These are currently selling for $159. 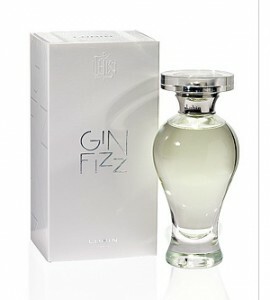 A classy perfume inspired by Grace Kelly. Mom gave me a sample of it the last time we were home, and it’s lovely—very light and fresh, with a hint of citrus and jasmine. Those of you who haven’t met me in person won’t know that I’m a very smell-oriented person. I have a little collection of very nice perfumes that I alternate from day to day, and my current bottle of “not too sweet, not too musky” is almost completely tapped (not to mention discontinued). It currently retails at $150. So, faithful readers? What do you think? Faced with this stereotypical feminine quandary, which do you choose?